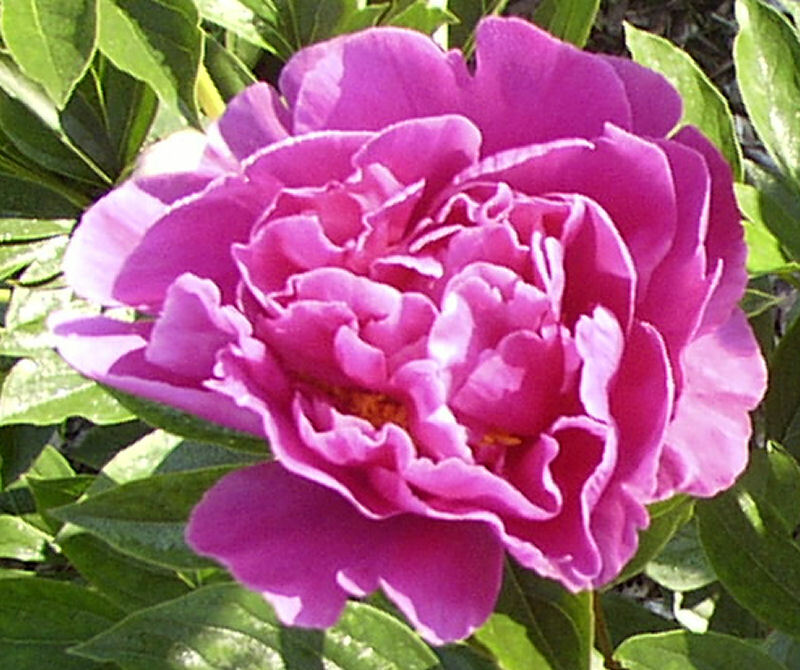 I purchased ‘Aimee’ (actually ‘Aimee’s Pink’) from Brent and Becky’s	Bulbs in autumn of 2000. It has taken her a while to build up strength, though I suspect if last year hadn’t been so bad for spring flowers (with temps in the nineties in April followed by hard freezes in May), she might have put on a show last year. ‘Bev’ and ‘Rozella,’ purchased from Reath’s, were planted last fall. 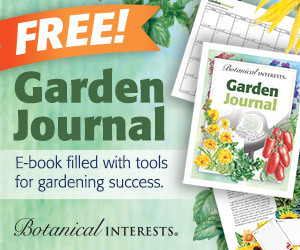 For first year plants, they bloomed quite well, with more than four blossoms a piece. 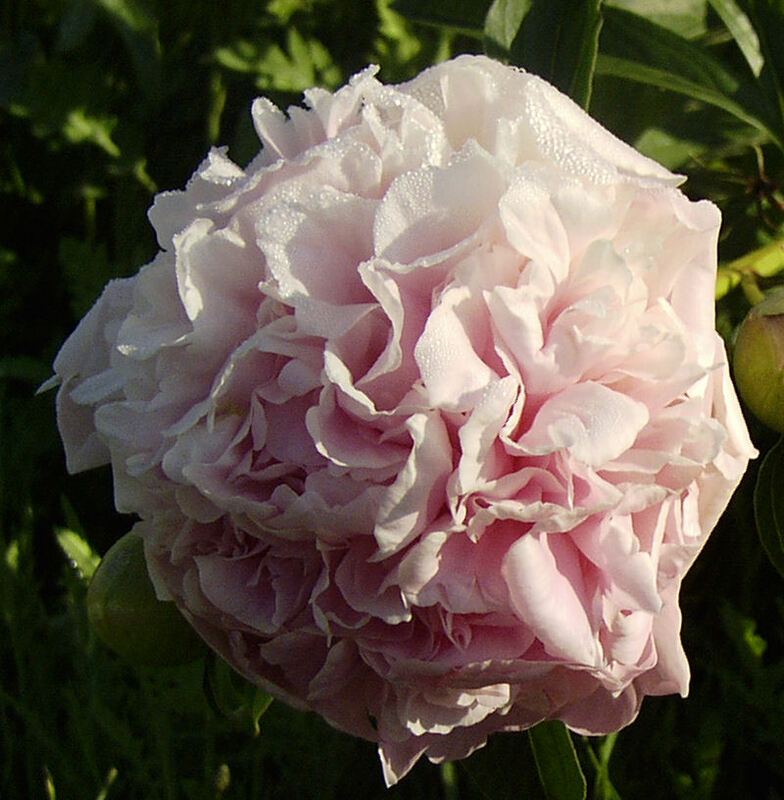 All three are fragrant, which can’t be taken for granted in peonies. The following image demonstrates why it pays to shop carefully for peonies. This image was taken after a night of rain. ‘Bev’ is furthest back, and ‘Rozella’ is in the center. Notice how tall and straight they hold their blossoms? ‘Aimee’s Pink,’ closest to the viewer, is bent over from the weight of water. She almost appears to be bowing to the other two. This is typical of most older double peonies, and if I had never seen ‘Bev’ and ‘Rozella’ I would have thought it unavoidable without staking. Now I know better. 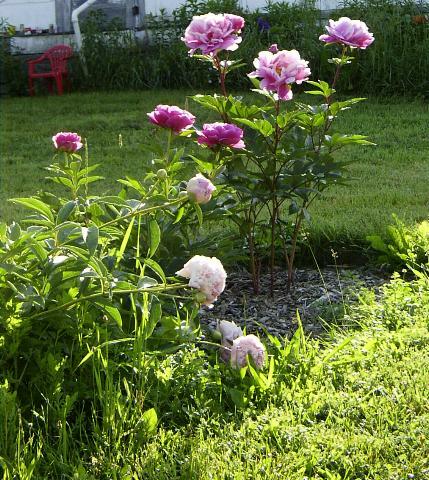 Peonies can be bred to have strong stems that will not bend over after a rain. This was a stated breeding goal of David Reath, who hybridized ‘Rozella.’ As I mentioned here, I fell in love with ‘Bev’ a long time ago. I just lucked out that she also has strong stems. If I had to do it over again, I would have passed ‘Aimee’s Pink’ by and gotten something similar from Reath’s with stronger stems. As it is, I don’t know if I can part with her. These peonies gave me a lot of pleasure while they were blooming. They were vah-lyoop-tuous, dahling, and made wonderful bouquets for the house. Of course, they all finished blooming a while ago. I’m not that proficient at inserting images into the blog, so it’s taken me a while to get this posted. I wanted to make sure, before anyone ordered peonies for the fall, that you were aware of how differently various peonies performed in the garden. 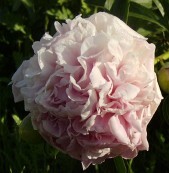 If you are anti-hoop where peonies are concerned, you owe it to yourself to do some research before you buy. 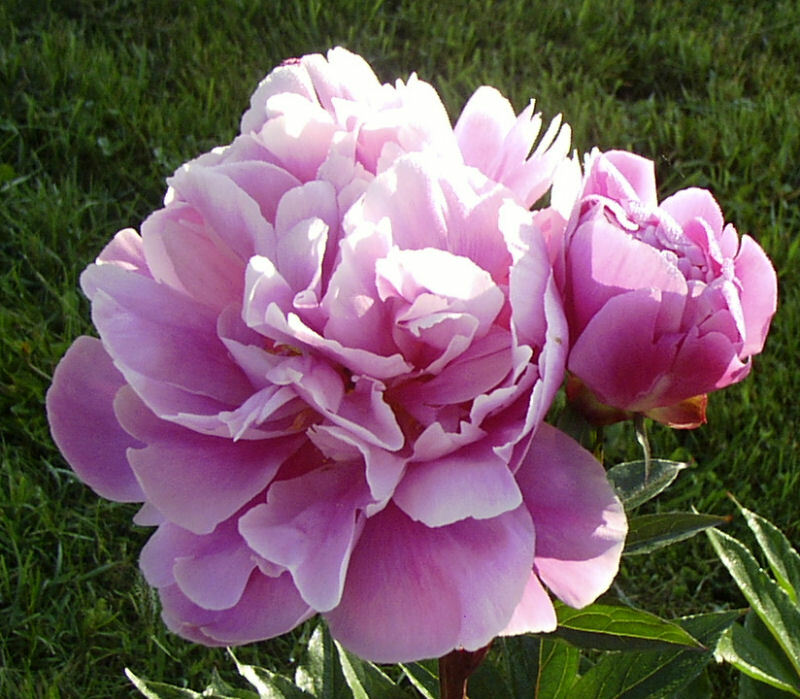 Considering peonies are as long-lived as almost any shrub, the price you pay for a premium peony is actually rather reasonable. I have noticed ants on peonies before. I think I remember seeing some ants on some of my peonies this year, but I can’t really tell you which ones or to what degree. I remember as a child seeing lots of ants on my grandmother’s peonies, and I also remember the buds being quite sticky and thinking (or being told) that the ants liked the sticky stuff. 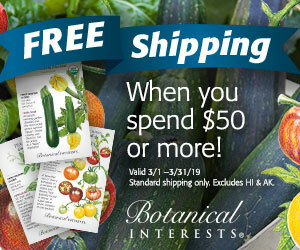 This is the conclusion of the Heartland Peony Society which appears to be based in Kansas City, MO. do yours always have the ants on them? ours do and my wife thinks they are a pollinator or something. thanks for the tip on captions. Well, I thought you would only use photo’s that one of us had taken, but I did’t recognize them. I guess I just haven’t been paying attention to who’s taking pictures. All four photos were taken by Rundy. I cropped them and reduced them so they would load faster. Why do you ask? Mom, were those three close-ups pictures we took, or pictures you pulled from a website?